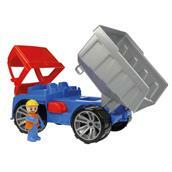 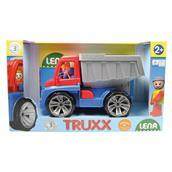 The truck is equipped with a character and many additional playing features. It has hard tires, metal axles and the cab can be tilted. 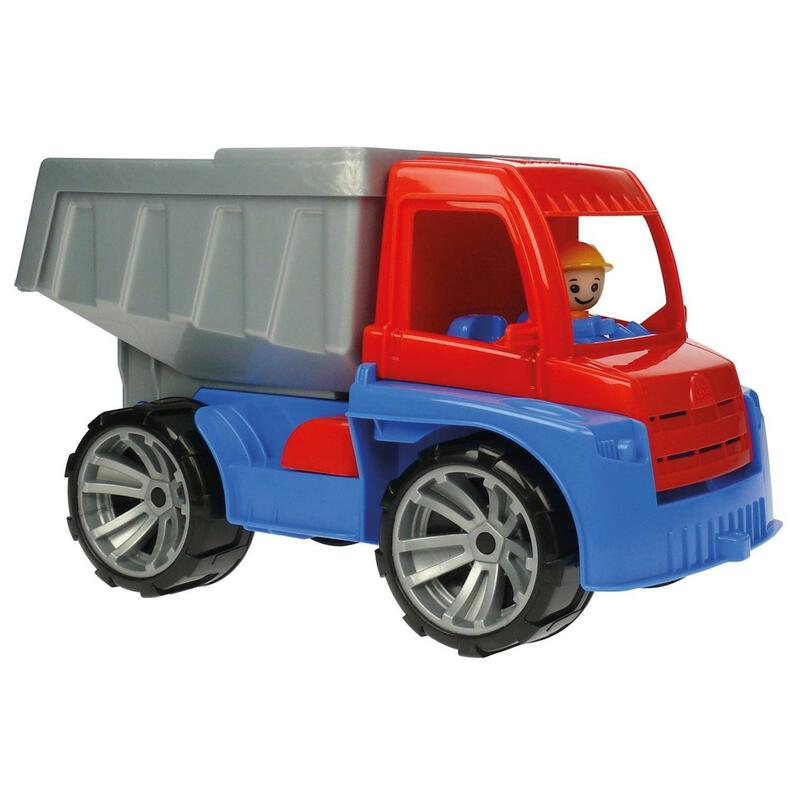 The tipper can be locked for driving. Size: 37 x 16 x 22 cm.